Buddy the Elf says, "Don't be the son of a Nutcracker. Buddy the Elf says, "Don't be the son of a Nutcracker. 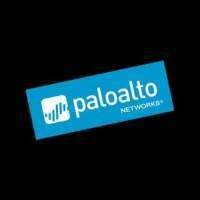 Join Palo Alto Networks and Proofpoint in an exclusive Holiday Networking event to discuss innovations and trends in Enterprise Security with your peers." Directions: Pass through the seven levels of the Candy Cane forest, through the sea of swirly-twirly gum drops, and then you'll arrive at the Wild Eagle Steak and Saloon (Broadview Heights, Ohio).